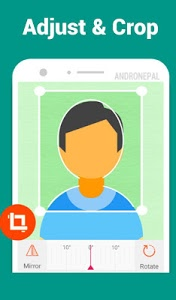 Passport Size Photo Maker (ID Photo Maker Studio) is the best passport size editor app among free passport photo maker, editor and photo print apps. 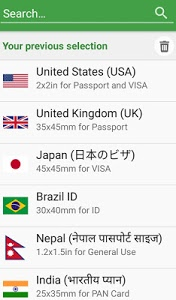 This app lets you save money by combining standard passport, ID or VISA photos into single sheet of 3x4, 4x4, 4x6, 5x7 or A4 paper. Then you can order prints from providers like CVS, Walgreens Photo, Amazon Photo Print. Or, you can take your phone to local photo print service providers and get it printed. Passport size photo maker is capable of creating official photo sizes for ID, Passport, VISA and License of all countries of the world including USA, Spain, Germany, France, India, Italy, Korea and Brazil. All the basic features that are needed to create a compliant passport photo are available for free. Passport size photo editor contains all standard printing paper sizes for free. Our customers have saved hundreds of dollars by ordering the prints of 3x4, 4x4, 4x6 / 5x6 photos using services like Walgreens Photo or Amazon prints after combining passport photos using this app. 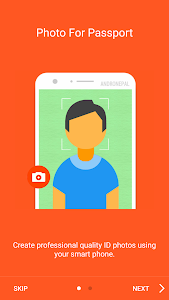 Passport size photo maker includes premium features like Background removal and Ink and money saver for purchase within the app. Purchases are refundable if they fail to work on your device. Passport size photo editor saves you time and money. 1. This software is provided in AS IS basis. User of this app will be solely responsible for any consequences. 2. Names like Google, Google Play, Google Analytics, Google Ads, Play Store, Facebook, Twitter, Amazon, Amazon Photo Print, Walgreens, Walgreens Photo, etc. and their logos are registered trademarks of the respective companies or their partners. The owners hold the copyright to those names and logos. The use of those names and trademarks is done for informative purpose. We are not endorsed by those companies, and we claim no right to any such text and assets. 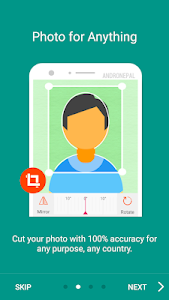 Similar to "Passport Photo ID Maker Studio - ID Photo Editor"